Want to Link Your Website or Blog? 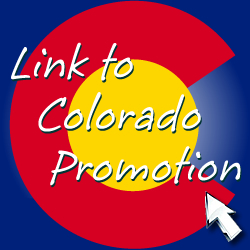 The Colorado Promotion web site welcomes recipricol links. <a href=”http://www.coloradopromotion.com”> Colorado Promotion</a> – Colorado Promotion – Promoting Colorado Businesses, Organizations, and Events with Digital Marketing Services and Ad Products.